Doctorate training helps learners to master theory, high level of education, ability to work independently, creativity and ability to detect and solve problems in specialized training. The curriculum must ensure core knowledge for the Computer Science, and bring into play the strengths of the specialization of the University’s Computer Science, including: knowledge and machine learning; Natural language processing. Postgraduates have the background and depth of knowledge, have a solid methodology and are able to apply the modern achievements of the Computer Science to the practical needs of the society, have the ability to research and develop at a high level, as well as be able to play a leadership role in management and contribute positively to the advancement of science and technology. The curriculum provides learners with in-depth knowledge of the disciplines, specializations and scientific research methods so that they can independently study and develop their views and scientific theories, formulate scientific ideas, discover, explore and test new knowledge; Having the ability to work in research, teaching, consulting and policy making positions or other positions within the fields of major. The program also helps learners to improve their professional knowledge and skills; Having the ability to work independently and creatively; Be capable of designing products, applying research results, discovering and organizing complicated tasks in professional activities. The doctoral program in Computer Science is oriented towards research with the guidance of the scientific supervisor and the specialized unit in charge of management; To attach importance to training methods and habits of scientific research and development of creative thinking in detecting and solving professional problems. To comply with Article 3 of the Doctoral Training Regulation issued together with Decision No. 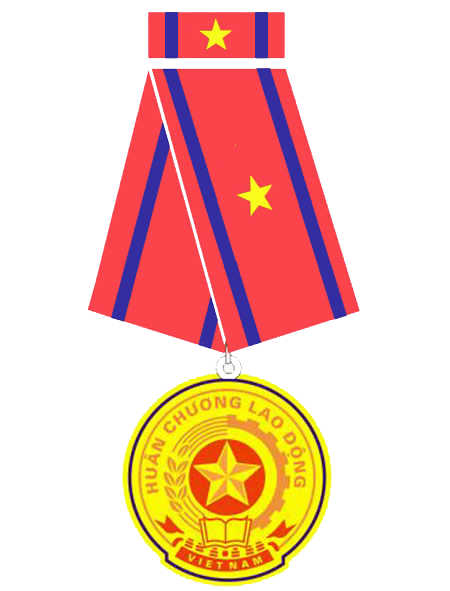 25 / QĐ-ĐHCNTT-ĐTSĐH dated April 15, 2014 of the Rector of the University of Information Technology. Additional modules are available for postgraduates who do not have a master's degree or have a master degree in the relevant field, which will help them to have sufficient knowledge and expertise to perform their duties. Postgraduate does not have a master's degree, but has to take supplementary courses in basic and specialized subjects in the current master program of Computer Science, not including philosophical subjects to complete the master's degree programs of Computer Science. Postgraduate holds a master's degree in Computer Science, then compares it with the existing MSc scoring board. Postgraduate must study the missing subjects of the general module and major module in curriculum of MSc of Computer Science. The list of additional subjects will be based on the current MSc program in Computer Science and the Doctoral Entrance Examination. The purpose of the doctoral degree is to help postgraduates to update new knowledge in the field of specialization; improve the theoretical level, research methodology and ability to apply important and essential scientific research methods in the field of research. The Doctoral degree (PhD) requires postgraduates to update new knowledge, depth in majors, breadth of related fields and directly related to the subject of postgraduates, help to improve research capacity of graduates; help postgraduates solve some contents of thesis topic. Each postgraduate must complete 03 doctorate theses, each thesis including 2 credits. Postgraduates must register to conduct the research in accordance with their research direction with the approval of instructor and professional unit. Postgraduates must carry out an overview of the research about situation and issues related to the topic of the dissertation. The essay requires the postgraduates to demonstrate the ability to analyze and evaluate existing research works of authors at home and abroad which are intimately involved in thesis topics, addressing outstanding issues, pointing out the issues that the dissertation should focus on research. Postgraduate conducts, reports the essay after completion of the doctoral dissertation and needs to successfully defend the essay review before submitting the dissertation. 1. Scientific research is a mandatory task of a postgraduate during the study of doctor dissertation implementation. Once a learner has a master's degree or a 24-month master's degree with a college-only graduate student, postgraduate compares it with the scientific development of his / her research orientation, update and supplement the research proposal at taking the doctorate entrance examination for protection at a review board for the outline of doctorate dissertation proposed by the professional unit and the Rector to consider and decide. 2. Depending on the characteristics of the research area, the professional unit has different requirements for evaluating the current state of knowledge, technological solutions related to the doctorate dissertation subject, investigative requirements, and experiments to supplement the data, required scientific reasoning and solution design, experiments from which postgraduate can reach new knowledge, new solution. These are important facilities for postgraduate to write doctorate dissertation. 3. The content and scale of scientific research must be consistent with the objectives of the doctorate dissertation. Depending on the characteristics of the dissertation research project, the University and the supervisor can create funding conditions, facilities and laboratories for postgraduate to complete necessary research. Postgraduate must ensure the truthfulness, accuracy and novelty of its scientific results, and comply with the provisions on intellectual property of Vietnam and international. 4. The time of scientific research is arranged during the time of doctorate training. If due to objective or subjective reasons, the research cannot be completed within the expected time, postgraduate can apply for extension of time study. Expenses for long-term training shall be covered by the postgraduate, or may be provided by the applicant for support if conditions permit. 5. The University and the professional units facilitate postgraduates to lead or participate in the implementation of scientific research topics at all levels presided over by the University and related to the field of doctorate dissertation topic of postgraduate. The doctoral dissertation must be a creative scientific research of the postgraduate themself, finding new results, not duplicating others' research, solving a whole scientific problem, being a unique scientific research, accurate, honest, innovative research that contributes theoretical contributions, contains new knowledge or solutions that are valuable in developing, increasing knowledge. the science of the field of research or creative solving of the problems posed to a science or social practice, to comply with intellectual property regulations of Vietnam and internationally. The doctoral dissertation does not exceed 200 A4 pages (excluding annexes), of which over 50% is the presentation of research results and arguments of postgraduate. The main contents and research results of the dissertation must be reported at specialized scientific conferences; published in at least two articles in journals, independent scientific conferences, reviewed by the State Council for grading, included in the list of scientific journals and scientific conferences which are suitable for major of doctoral training. Postgraduates must protect the dissertation before the specialized unit council and the University board as required. All doctoral degree programs for master degree holders are 3 years of continuous study; for those who have graduated from university but do not have a suitable master's degree are 5 years of continuous study are required. Postgraduates undertake scientific research and post works throughout the academic training period. · Report at least two academic reports to prepare for the dissertation. · Complete a doctoral dissertation to protect doctoral dissertation at level of specialized units.